“I told them that there were many reasons to use planes, but the best one of them all is just to have fun. When one of the kids asked if this was OK, I told him it was not just ok, I did it for a job. There was a lightbulb that went off in his mind, this was the first time he had heard you could evade becoming a grown up. Builders: One of the things I ‘like’ about Kevin is that you can never tell when he is kidding. He is a tough guy so you never really want to offend him on the chance he isn’t kidding. He also wrote me to say that he is a Celine Dion fan…..-ww. We have all been subjected to a zillion partisan stories over what is wrong with our country. I am here to tell you the truth: Yes America has issues, but I know what the cure is, and it is going to cost every American $1.69, and the sooner we face this and get on with it, the better off we will be. My epiphany came this afternoon. Greg, our local Post Office desk officer, had given me the assignment to be the guest speaker at Cub Scout Pack 422, of which he is the scout master. I didn’t dare refuse; Greg has 19 years in at the Post Office and previously was in the 82nd Airborne Division. He seems pretty laid back, but if you combine the mottos of his two services you come up with something like “Neither snow nor rain nor heat nor gloom of night prevents death from above.” Besides, I thought it would be fun, and I knew that the centerpiece of the presentation would have to be that all-American youth classic, the Guillow’s Balsa plane. Above, my personal Guillow’s Skystreak, with some fresh damage from enthusiastic Cub Scouts of Pack 422. Retiring this baby is going to set me back a hefty $2.99, but no one ever said educating youth was going to be cheap. 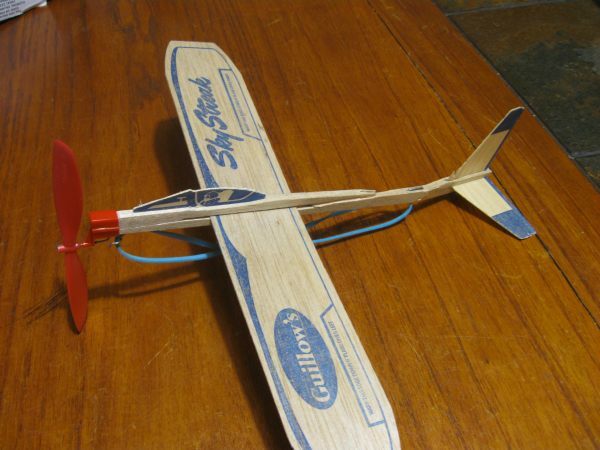 Here is where I found out two disturbing things at once: They don’t sell Balsa planes in normal stores any more, and I am so old that people who have 10-year-old kids of their own have never heard of the toys of my youth. I went from store to store in our town asking for them in a mad search to find little planes before I faced the wrath of Greg at 7 p.m. for disappointing his Scouts. I went to Fred’s, Walgreens, Ace Hardware, CVS, the convenience store run by the Cambodian family, Wal-Mart, Target, the Dollar General, the Dollar Tree, and the Dollar Mart. Not one single plane was to be found. Midway through the trip I realized that people were being really polite to me, because that is a safe strategy when you are asked an odd question by a mentally ill person who is on some quest for an imaginary object. Not only didn’t they have them, only two people I encountered had ever heard of one. Just the old African American man who manages the Dollar Tree and the Cambodian grandmother knew what I was babbling about. To everyone else, I looked just like Jimmy Stewart in It’s a Wonderful Life when he goes around his home town and not a single person understands what he is talking about. I had found myself in a kind of Potterville, a horrible place where no kid had ever played with a Balsa plane. The presentation went well, everyone had a good time, and I taught them all the basics: Wrights invented it, Lindbergh used it, Armstrong goes to the moon, time for you to do your part. Only one kid thought the Wrights were from Europe. They all liked the fact that Buzz Lightyear was named after Buzz Aldrin. Not a single one of them had flown in an airplane before, including an airliner. I told them that there were many reasons to use planes, but the best one of them all is just to have fun. When one of the kids asked if this was OK, I told him it was not just ok, I did it for a job. There was a lightbulb that went off in his mind, this was the first time he had heard you could evade becoming a grown up. OK, I am just going to say that it is time we put the train back on the track, and I know exactly where it went off. It is time to buy Guillow’s planes, not just for kids, but for ourselves, to get back to where things were right. I could have a tirade pointing out that the checkout counters of every single one of these stores had candy bars that cost more than a basic Balsa plane. I could point out that Wal-Mart’s special was a game called “Angry Birds Death Star” and it was for kids 8 and up, same age as the Cub Scouts. In the next aisle kids no older than 12 were pointing to video games they played regularly, all with the sick designation “first person shooter.” We all know it is time to get away from poisons like that. Defending people who develop and market that stuff by saying people buy it is the same as defending the people who run meth labs because that product sells also. Let us all take a step back to something good and pure, little Balsa planes. You can study the factory’s offerings at: http://www.guillow.com/index.aspx . They have been around since 1926, and you will never find a kit plane that can be built faster. I am going to order a crate and trade them to kids for the junk food they are eating. Phase Two of this crusade is to bring back the flathead, horizontal shaft lawnmower engine. In my view, all normal childhoods have three vital elements: The little Balsa plane, the tree house, and the go-cart with the horizontal shaft lawnmower engine. If you understand the importance of the movie October Sky, you will probably agree that this country churned out legions of top-notch engineers who were all pre-schooled in flight, structures and mechanics by the above vital trio of experiences. Never look down on these engines. Briggs and Stratton perfected the Nicasil all-aluminum cylinder and produced tens of millions of them before Porsche ever dreamed of making one that worked. The 5hp Briggs is one of the most mass-produced internal combustion engines ever. Look up the term “Blockzilla” on their site for the last word in mower engines. 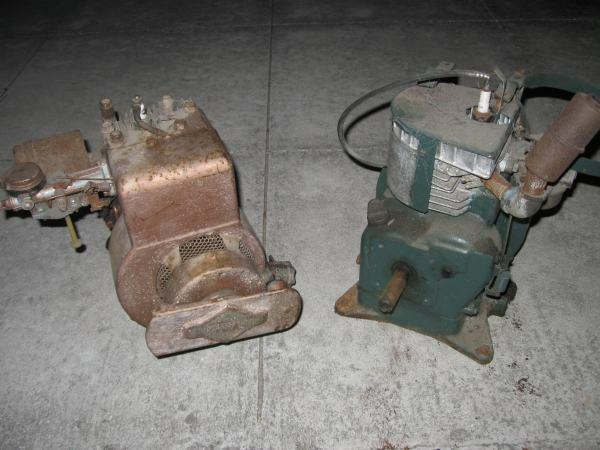 From the Clinton engine historical website : “After its arrival in Iowa in 1950 Clinton Engines was producing 2000 to 3000 high quality gasoline engines per day using so-called untrained farm labor. ˜Untrained” proved inaccurate. The employees of the plant came mainly from the farms and small towns of the area where tinkering and fixing things with nothing was a way of life. These resourceful people quickly rammed the company to world leader, eclipsing Briggs & Stratton. More than 18 million engines were produced by the company and more than $550,000,000 pumped through the East Central Iowa economy and the economies of outlying areas in Wisconsin, Minnesota, and Illinois.” These were the jobs America threw away in search for the cheapest labor on ther planet, to replace the best labor. Flatheads are the greatest mechanical self-instruction tools of all time. If you didn’t have one in your childhood, you have my condolences. These engines are great because a 10-year-old can take the head off with a 1/2″ wrench and all the parts stay in place. He can then turn it and see the sequence of operation in a 4-stroke engine. He can then put the head back on, no torque wrench nor pattern, and it will run again. There is nothing in the world of electronics that will ever be like that. Before anyone scoffs at this, keep in mind that I have taught hundreds of people how to build engines, and I will tell you that the people with the balsa plane/tree house/flathead childhoods have an advantage in aircraft building that is very hard to overstate. Although I have had some good times in California, lived there and love many things about the place, here is something that the people there have to answer for: Flatheads are being phased out of production because they are actually illegal to sell in California for emissions reasons. Yes, I said that correctly, illegal. This happened at the same time that California decided that it was a good idea that anyone with an ailment from low self-esteem to a hangnail should have a prescription for smoking pot. Beyond the point about smoky emissions that are not good for you, I hold that if you take away all the mechanical toys of youth and leave only the video games, you will automatically have a generation that thinks sitting around the house and getting stoned is not only normal, it is therapeutic. “Just an FYI, my Dad wrote a book about flying – Pioneers of Flight – published by Hammond in Maplewood, N.J. (Henry T. Wallhauser) – have a great Memorial Day weekend WW!! Builders: I have known Sarah since I was 13 or 14 years old. We grew up in the same town in N.J. At the time I did not know her Father’s aviation background. I went on amazon.com last night and bought a mint condition copy of her Dad’s book to add to our library.-ww. On the story of Built by William Wynne? Built according to The Manual? On the story of Starting procedures on Corvairs, 2,000 words of experience. “William, A personal thanks for the information on Corvair starting procedures. As you know, my Cleanex has the MA3SPA carb. I had been shutting it down with the mixture. Well the past few days I have been using the procedures you had given and that Dan had shared with Mr. Woolley. To say it made all the difference in the world is an understatement. “Your description of starting issues with Lycoming engines is, at least in my experience, only partially correct. The O-320 in my Cherokee is almost impossible to overprime. The primer line runs to two cylinders, leaving two unprimed, and allows the fuel to drain down the intake runners. None goes directly into the cylinders. The impulse coupling on the left magneto produces adequate spark to get things running nicely. Hot starts are a no drama event. Push the button, engines starts. Where your description IS correct is in the IO series. Restarting a hot IO-360 in a Mooney can be a frustrating experience. Starting with the fuel in full lean and the throttle wide open and then juggling levers when it finally starts to run is a certified (or is it certificated) PITA. I also agree with another poster that shutting down the engine with the mixture control does minimize residual fuel in the cylinders, lessening the chance of the engine starting if the prop moves and the mag switch is defective. For that reason, I do a ‘dead mag’ check just prior to each shutdown. It has also been hypothesized by Continental experts that using the mag switch to shut down the Stromberg carbureted A and C series engines leaves residual fuel in the cylinders that wets the plugs and makes them hard to start when warm. These experts recommend using a fuel shutoff valve in the primary line to stop the engine and eliminate the problem, especially if there isn’t an impulse coupling on one of the mags. I realize this is a major digression from the subject of Corvairs and almost certainly adds nothing to that body of knowledge, but does try to paint a more complete picture of these issues. Dave, I have an O-320 Lycoming cylinder right in front of me, and the injector port and the primer port are about an inch apart, and they are both aimed at the intake valve. If the intake on that cylinder is off its seat, using the primer is going to put fuel in that cylinder. You are correct, the carb models don’t flood as easy, but they can. Most carbed Lycomings have 3 or 4 primers in the intake ports, 3 if the plane has an MAP gauge, varies by installation. As you said, we are focused on Corvairs, so it is academic. I have shut Grace’s C-85 off with the mag switch for 12 years, and never had a starting issue. Again, there are many variations on certified engines, we just need to share Corvair perspective. Here is another opinion from me, man of a thousand opinions: Stick and Rudder is the greatest book ever written on how to fly planes, period. Unlike some of my other opinions, I am not alone in this one. While most people with a pilots license in their pocket have never heard of this book, virtually every single veteran aviator noted for his skill and experience holds the same opinion of this book. My 25 years of building planes and modest amount of hours doesn’t make me one of those “Old School” pilots, but I am smart enough to hold the same text sacred as they do. To assist in the discussion of this book, I will use paraphrased comments that people have made to me over the years at Sun n Fun and Oshkosh when I bring up the point that the book only costs $16, and maybe half of the fatal accidents each year could be avoided if the deceased pilots had owned, read, and understood the contents of this 69-year-old book. The paraphrased peanut gallery comments are in blue italics. OK, let me start by saying I have nothing against Machado, but he isn’t in the same category. We are speaking on educational classics here, not comedy/entertainment/flying lite. Now let’s just hold on a minute: One of my pet peeves is how Flying magazine and some elements in marketing the EAA have tried to make aviation less offensive, more family entertainment. They want every person pictured to be drawn from the pages of the J. Crew clothing catalog, clothed in khaki slacks and getting into their Cirrus or 912 powered S-LSA. Compared to those contrived marketing images, Machado is Keith Richards, but judged against real aviation characters, he is just another guy in Levis Dockers with a John Edwards haircut. What an actual Character looks like #1. 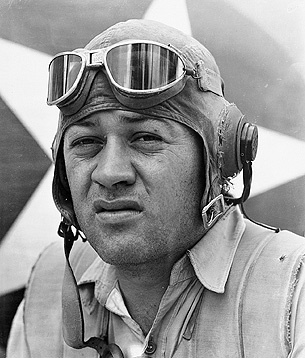 1) Pappy Boyington, Flying Tiger, USMC, CMH. Quote: “Show me a hero and I’ll show you a bum.” Lived life with the throttle firewalled. Drank, fought, smoked and flew on high blower, all the time. 2) Poncho Barnes, respected as a serious competitor in 1930s air racing, when it had a 30% fatality rate. Owner, “Happy Bottom Riding Club.” Legendary for never taking crap from anyone. Ever. 3) Bernard Pietenpol, patron saint of homebuilding, champion of flight for the common man. If you work for a living, and you are building a plane, you owe this man the acknowledgement that he was the pathfinder for every builder with persistence to take their place … In the Arena. 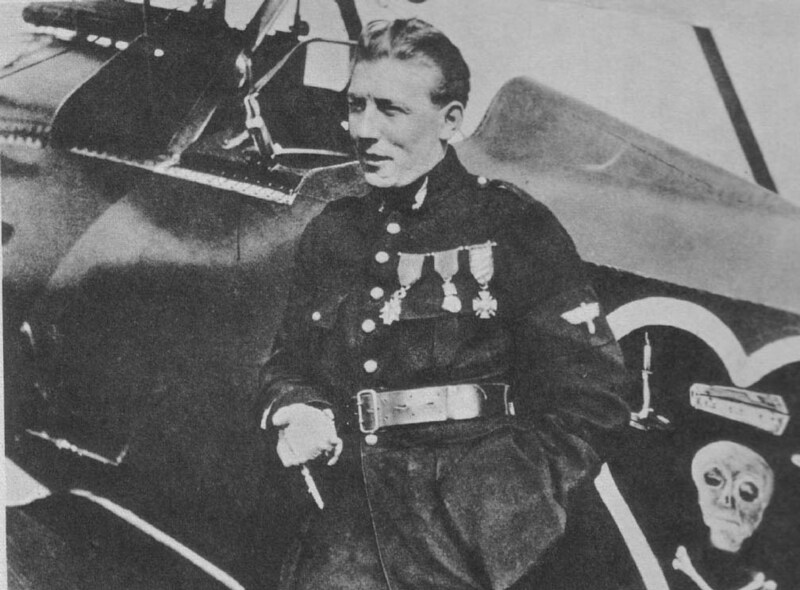 5) Charles Nungesser, French national hero and ace in WWI. 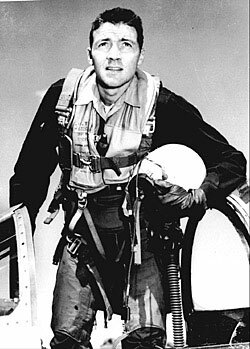 Sets the 100% standard for the “triple crown” of fighter pilots in the 20th century (flying, drinking, romancing women), and his countrymen loved him for it. Spent all night in the clubs of Paris, flew against the Hun at dawn. The embodiment of the term Swagger. Dies attempting to fly the Atlantic with Coli 2 weeks before Lindbergh. 6) Hank Wharton, legendary arms sumggler, used a Lockheed Constellation on repeated missions to fly food to starving Biafrans through Nigerian jet air defenses. ‘Humanitarian’ with solid brass balls. 7) Jack Knight, airmail pilot, flew 800 miles, Wyoming to Chicago, in an open cockpit plane, at night, in a blizzard, Feb. 22, 1921, to save the fate of U.S. airmail. Later VP of United Airlines, before such jobs became positions held by accountants and lobbyists. Would not “fit in” at airline work today. 8) Valentina Tereshkova, awarded title Hero of the Soviet Union, first woman in space. On her 70th birthday she told Russian president Vladimir Putin that she was personally willing to go to Mars, now, even if it was a one way “suicide” mission. Not your average grandmother. It is very likely that every single one of these aviators (with the exception of Nungesser) read Stick and Rudder. Scoring: If you have heard of Machado but knew six or more of the Aviators of Character, you are in good shape, proceed as you are. – If you have read Machado’s books, but only identified 3 or 4 of the pictures, take warning: Do not read Flying, try to fly a Comanche 400 or radial powered plane soon. Throw away your Sporty’s catalog. Watch The Great Waldo Pepper or Thirty Seconds over Tokyo this week. – If you own Machado’s books but knew none of the images, you need serious help. You have been made a victim of the consumerism people who have told you that flying is about spending money, not learning, challenges, and personal achievements. Leave tonight for Cherry Grove, Minn., Pietenpol’s home town, and make it your aviation pilgrimage. Never speak to anyone with a Rotax 912 ever again. Fly in a biplane to Kitty Hawk, and look into the glass case at the little square of Wright Flyer fabric, carried to the surface of the moon and back by Neil Armstrong. Develop a plan on how your actions in aviation will show gratitude to those who came before you and gave you the possibilities you have. Do this today. The goal of real aviation books is not to tell you some answer, but to get you to think. The resistance to really thinking is the actual roadblock to learning and being able to use new understanding. Langewiesche knew that people are so set in their ways that they are hardly even moved by the seriousness of the consequences. Thomas Edison’s favorite quote was “There is no expedient to which a man will not resort to avoid the true labor of thinking.” Set yourself apart, buy the book and read it. Recognize that the part of your brain that resists this is what Langewiesche and Edison were speaking of. Wrong. Nearly the entire system of general aviation as it exists is about one single thing: Money. This book costs $16, no one is making big bucks off it, Langewiesche has been deceased more than a decade, and getting you to buy it doesn’t line anyone’s pockets, so it doesn’t get any attention. Contrast this with some new $2,000 glass cockpit: The factory makes 400% mark up on the hardware, this pays 100 “dealers” who each make a 15% cut off each sale; it also pays for full-page ads in magazines; it covers free units traded to influential journalists and prominent builders to write glowing endorsements. It covers dinners, evenings at strip clubs, airline tickets and many other “perks” for people who offer “independent” reviews. Every sale has a large chunk of the money going to grease the palms of a whole chain of people, all unbeknownst to the purchaser, who thought the echo of glowing endorsements was driven by the quality of the product. This system works on every major part. If you buy a kit, and the sales staff works pretty hard to steer you from a Corvair to a Rotax 912, it is because the dealership has already registered your name with the U.S. Rotax importer, and they will quietly get a check for $2,000 of your money right after you buy the 912, even if it is a long time later. Most engine companies do this (we do not). There are many great things in aviation, like Stick and Rudder and steam gauge instrumentation, that will get damn near zero discussion, simply because no one gets paid if you use them. Learn this: The system isn’t going to spend the time discussing what you need to know, nor what might be economical or useful for your plane. It is only going to spend time discussing things that make insiders in the system money. GPS, radios, arbitrary boundaries and written tests have nothing to do with flying. Don’t worry about the test from the FAA: be much more concerned about the one run by Physics, Chemistry and Gravity when you leave the ground as there are much greater consequences to failing theirs. Langewiesche is going to teach you to pass this far less forgiving exam. Flying is about controlling your aircraft, knowing weather and knowing yourself. These are his subjects. They have not, and will not ever change. Take this thought with you: You can’t really change the cost of planes by more than 25% or 35% even by extreme scrounging and plans building. There is no way to drop the cost by 75%, stuff justs costs money at some point. Here is what you do control: What you get out of building and flying. Picture two guys, both spend 4 years, and 2,000 hours building a plane, and 50 hours aloft and 200 studying to get a LSA rating. It’s five years into it. 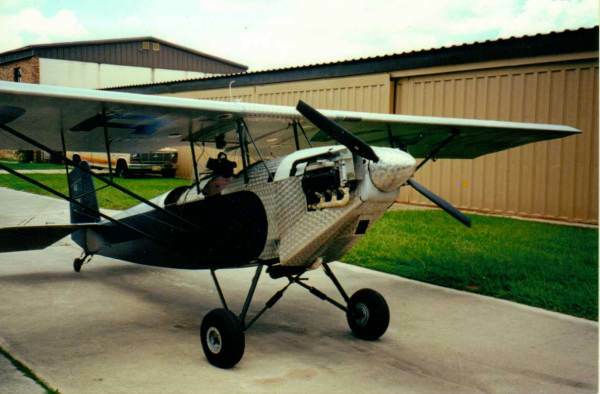 If guy “A” was a super scrounger, bought a used kit and spent only $20K vs guy “B” who spent $34K for the same plane by purchasing a kit and getting all his parts from Aircraft Spruce instead of the flymart, Which builder got the better value? Who won? Do something this weekend to change your life: Buy a copy of Stick and Rudder this weekend, and get started reading it. Here is my special offer: The book is free to Corvair builders. Here is how: Buy a copy, read it and bring it to Oshkosh and show me, and I will take $16 off the price of anything you buy from us. How does this work for me? It is your instant identification to me that you are a serious builder, committed to your personal advancement. You are not waiting for an imaginary bus from Unicornville. Besides, the information in it could save your life. Mail Sack, 5/19/13, Various topics. Here is a large sample of the mail. You can click on the topic headings to review the original story the letter is referring to……. On MA3-spa carb pictures, Wagabond notes. On the story Built by William Wynne? Built according to The Manual? WILLIAM, I HAVE BEEN READING EVERYTHING YOU HAVE WRITTEN , OVER THE LAST EIGHT YEARS. THIS HAS PROVIDED ME WITH A WEALTH OF INFORMATION, AND HELPED KEEP ME FROM KILLING MYSELF. HOWEVER IN THIS E-MAIL, THERE IS ONE POINT I THINK IS WRONG. YOU SAID,” NEVER BUY A SECOND HAND ENGINE”, IF THIS IS TRUE, THEN AFTER YOU ARE THROUGH BUILDING YOUR PLANE AND ARE GOING TO MOVE ON, YOU SHOULD NOT SELL IT, THE PROJECT SHOULD JUST BE THROWN OUT. THIS I DO NOT AGREE WITH. “William: I know how you feel… I was asked to assist in licensing a Fairchild that had been damaged in a ground loop accident. 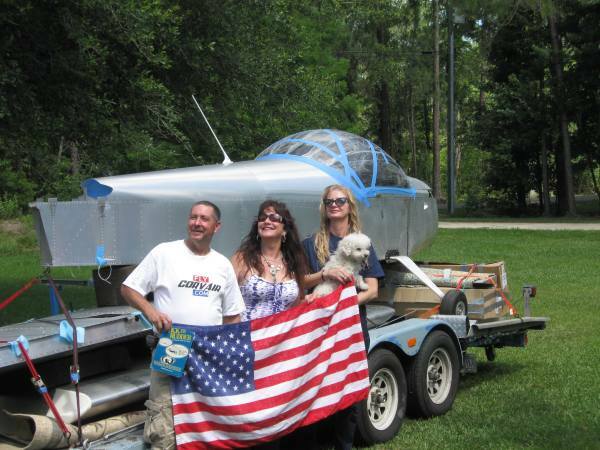 The airplane was in the experimental category (not amateur built of course) and the owner wanted to put it back in the standard category. There had been an engine change to another model of the Ranger engine. The TCDS supported the change to the more powerful Ranger, so that was not a problem. But in the accident the propeller had been splintered down to about 3 feet in diameter. The aircraft owner (a physicist of all things) was surrounded by friends and “Experts” that stated all that was needed was a runout check on the crank. I wanted the engine torn down and inspected but with Ranger so long out of business I could not supply any data supporting the need for a teardown after a prop strike. If it had been a Lycoming or Continental this would have been no problem. I refused (politely) to assist. The aircraft owner heard what he wanted to hear from his friends and so they repaired the airplane and hung a new prop on the existing engine. I reminded the owner that he was not exempt from the laws of physics and that this was simply not safe. I am now the bad guy, and I no longer feel welcome on that side of the airport. After witnessing two crashes of pilots from the same group of guys as a result of taking off downwind I am really on the outs with these folks. All because I did not tell them what they wanted to hear. I tell you this because you are not alone. Your situation is worse because you have much more latitude in the experimental world, which makes many builders hide behind the Experimental label… It is all very dangerous. “William, You certainly don’t need my feedback, but I feel it necessary to compliment you on your knowledge, explanations, and concerns. Thank You. This is a very impressive educational lesson. “William, I am one of those people that is stubborn in my ideas once I have done my research and made up my mind. I actually had chosen another option which I thought would be simpler, less expensive, and dependable. Once I had the opportunity to speak with you at CC23 about my choice, and you explained the different options available, and why you thought the MA3 was a good choice, I was reluctant to change, at that moment. But the explanation you gave made so much sense, and your experience counted for a lot as well, that I knew I was looking for an MA3 carb for my engine before the weekend was over. I really appreciate the way you explain things, and even more that you don’t sugar coat the truth, bad or good. I respect that presentation because it is honest, and straight forward, which it the way I like to deliver as well. I am still looking for a good MA3, if you have any good leads where I should be looking for a fair price, please let me know. I too am building for myself and my family to fly behind, and there is no “Bargain” that will make me skimp on my safety and peace of mind. My goal is to try to have my engine completed by end of 2013 if possible. I am really looking forward to it! I will be getting in touch with you regarding my engine block and work. Jacksno: Everyone knows I like stupidly simple stuff in aircraft, so let me take the counterpoint on this and give a little of the opposing perspective: Of all of the Glass cockpit stuff, I like Dynon the best, it is well proven, and if someone likes that stuff, it is a good value. Part of the mission of the plane is to fly all of the EAA air academy students that go there during the summer. Most of these kids are far more familiar with that type of display that steam gauges. The thing I like best about their choices are that the plane, the engine, and the instrumentation are all US made products. You know what aircraft they were using at the Air-acedemy? A Chinese built Skycatcher. I will accept nearly anything over that. I want every kid who goes there to understand that Americans wrote a large part of the history of flight, and we still have a fantastic engineering education system here, and that they should take their place as the next generational link in the chain of achievement by becoming as educated as possible and then using that knowledge to create more manufacturing here. The plane, as they are building it, supports this. Flying in a Skycatcher built by repressed labor in a communist country sends the message that we once went to the moon, but today the best you can hope for is a ride in a cheap toy built for maximum corporate profit by using the lowest wage workers they could find on the planet. “Great topic, with 1/2 a beer I could go on for hours about this. Mostly I agree w/ a few exceptions. Rotax 912s – you are right for the most part. I do know someone who rebuilt one who was not an A&P but took a Rotax repair class. Cars – while they are harder to work on, there is one particular area where I love modern cars. They don’t rust! I would still drive my ’76 Nova if it hadn’t rusted out. In 5 years. And because of unibody construction, once the rust gets significant you are done, unless you weld / replace major body portions. My 2004 Ranger, 150,000 miles, not a spec of rust. Materials – especially rubber and plastics, last much longer. Modern cars rarely leak oil if you don’t abuse them. Door and window seals last forever compared to the ’60s. I like that you can incorporate that into rebuilding old engines w/ improved seals. In the process control world, a computer is much more reliable than a room filled with timers and counters and relays that gets really, really hot. But if something goes wrong, you need a EE degree just to get into the logic and trace the circuits. My car never knocks or detonates. There’s the darn check engine light – but what that really means is that the computer control system had to go full on or off to try and control the mixture (at least most of the time). In my opinion, the problem isn’t that the technology is bad in and of itself, it’s that the designers try to make it so you don’t have to know how it works to use it. In the Jenny days, you had to know how the OX-5 worked to be safe flying it. Modern airplanes, you sort of don’t have to know as much, but I believe you are still safer if you do. On the Video of Running 2850cc engine. 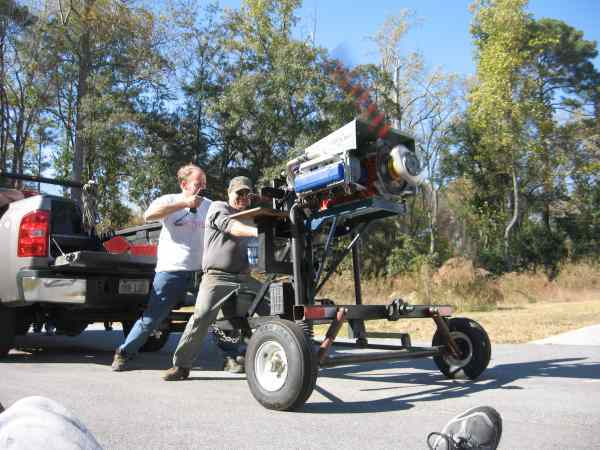 Jeff, that is our test prop, it is only 62″ diameter. The peak RPM in the video was a momentary 3,000.-ww. “To add to the biography of Lindbergh, it is the theory on the part of Pulitzer Prize winner Scott Berg that the reasons that Roosevelt didn’t want to let him reenlist were twofold: Lindbergh had voiced his opposition to the Army pilots taking over the air mail routes because he said that while the Army pilots were excellent pilots, that flying the air mail was a totally different type of flying. He was proved right when there were many fatalities. That ticked off Roosevelt. The other is that Lindbergh in a dramatic move had resigned his commission to head up the America First movement. It was understandable that he would have those views because his father had been one of the few Congressmen to vote against going to war in WWI. Lindbergh had even contemplated moving to Germany, not because of any great love for the country, but because in that totalitarian state, the press left him alone. If you think that today’s paparazzi are bad, the press of that day was far worse towards Lindbergh. It is for that reason he had moved his family from the U.S. to England in the years after his son was kidnapped. The award he was given by the Nazi government was sprung on him, and it was a propaganda ploy on the part of Germany. The Germans, proud of the Luftwaffe, showed him everything, and he shared this information with U.S. intelligence. On the story of The Quote, 1927, C.A.L. On the story about the New Photos of JAG-2, a Corvair powered twin. “Hello William, I am glad to hear that Gary’s plane is flying. Another zenith success story. It is interesting that you mention the RV-12 and zodiac 650 since that is exactly the choice I had to make before starting to build my plane. I went to both the vans factory and the zenith factory before deciding. The RV-12 looked to be an excellent plane, vans kits have a great reputation and the instructions were excellent. But there was no flexibility in design options. The plane was licensed as an ELSA which meant that every option had to appear in a production plane. “I chuckled (and cringed) when I read this blog post on a builder forum and it caused me to think about your dedication to educate and empower builders. On the story about 76 Days until Oshkosh 2013.